In January 1980, Northwestern University’s black student organization protested the final performance of Julius Eastman’s residency. Many aspects of the 40-year-old composer’s budding career–which included a degree from the Curtis Institute, a position as Creative Associate at SUNY Buffalo, and prior work with Mieczyslaw Horszowski and Morton Feldman–were distilled in this performance. The openly gay, black composer, with no shyness toward controversy, introduced, conducted, and performed three of his compositions: Crazy N—–, Evil N——, and Gay Guerilla*. Since his early and largely unnoticed death, Julius Eastman’s work has had a resurgence in popularity and recognition. “The Genius and Tragedy of Julius Eastman” (Hilton Als, 2018), published by The New Yorker, is one of many recent pieces lauding his work, in addition to posthumous album recordings and compilations. 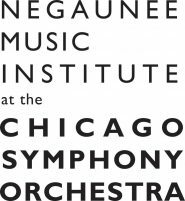 This May in Chicago, he will be a featured composer on the Chicago Symphony Orchestra’s MusicNOW concert at the Harris Theatre. ABOVE: Julius Eastman’s (L) Stay On It poem from program notes and (R) manuscript of Femenine. The renewed recognition of Eastman’s music is duly awarded, regardless of the morbidly compelling nature of his personal life. The tragic death of a young composer is in some ways shocking, but in others, perfectly aligned with our idea of “The Artist.” Moreover, this ideology is perpetuated by the troupe that said Artist exists in a world that misunderstands, misrepresents, and torments a creative mind – a creative mind that must suffer for their art. Although the story of the tragic artist can be intriguing, it may be dangerous to fall into the trap of believing the idea that this familiar arc of self-destruction is a natural consequence of the creative process. Perhaps this thinking even creates a self-fulfilling prophecy at the expense of its subjects. This presents a contrary assumption that places the torment and anguish that may plague an artist in direct opposition to their ability to gain success. In this view, the artist creates in spite of their issues, not because of them. Writer Elizabeth Gilbert argues that there has been a cultural shift in how the artist is thought of in relation to their artistic output. At a certain point in time, creativity was considered a spirit of divinity, a separate entity than the artist. The Greeks called them daemons, and they were the creative force that was simply channeled through the artist. Gilbert says what has changed is that instead of having a genius, as the Greeks believed, the artist now was the genius. With that altered thinking, the artist is placed alone in the world, any criticism is a reflection of the artist themselves, and any success must be followed with a second stroke of what was once thought of as divinity. Julius Eastman was, of course, a complex individual. There’s no reason we should believe if he thought he had a daemon The New Yorker headline would simply be “The Genius with Julius Eastman.” But if we are going to dispel myths, let’s also do away with the tragic artist, the notion that creation requires self-destruction is no more rooted in fact than anything the ancients believed. *Originally, I left these works in their original form, thinking it best to present the artist’s titles to invoke the intended discomfort they create. After continually pondering this decision I have ultimately decided to censor the titles in order to address that while white artists can and should grapple with Eastman, we must also acknowledge the context of a society plagued by systemic racism that can be reinforced by our words and actions. TOP: Rehearsal of Julius Eastman’s piece “Trumpet” at Buffalo Unitarian Church in 1972, by John Hammond.